GlenWyvis, claimed as the world’s first community-owned distillery, has launched a limited edition whisky to celebrate laying down its foundation stone last week. Some 1,600 bottles of Highland Inspiration single malt Scotch – sourced from an unidentified Highland distillery – were released on Burns Night (25 January) to mark the start of work on the distillery in Dingwall, north of Inverness. The bottlings are currently only available to the distillery’s 2,600 founding members who have invested in the distillery. Any remaining bottles will go on sale to the public in March. 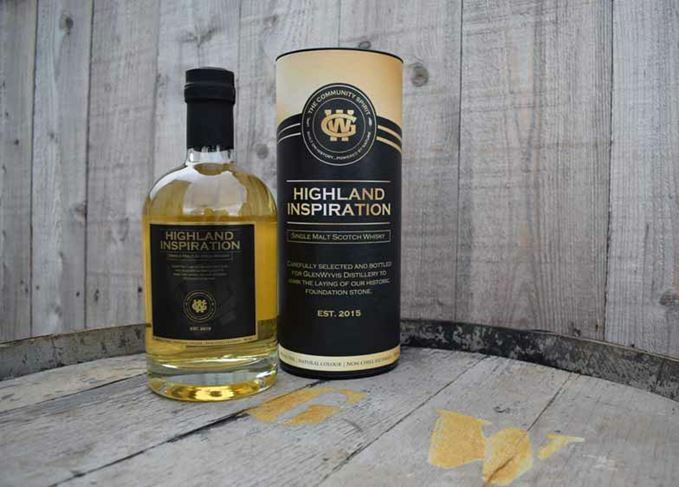 Founded by John McKenzie in association with Community Shares Scotland (CSS), the distillery was the result of a crowdfunding campaign last year, which aimed to raise £1.5m – a target that eventually reached more than £2.5m. During the launch, McKenzie also revealed a partnership with the North Coast 500 (NC500) – a circular route across the Highlands dubbed ‘Scotland’s answer to Route 66’ – from 1 March, along with plans to form an ‘interim visitor centre’ while the distillery is built. McKenzie, GlenWyvis distillery director, said: ‘We are now working with the NC500 marketing team to explore how we can maximise the benefit this partnership will bring to Dingwall and the local area from early summer 2017. GlenWyvis was inspired by the famous Ferintosh distillery, popular with Robert Burns but which closed in 1785, as well as the original Ben Wyvis in Dingwall and Glenskiach in Evanton, which both fell silent in 1926. Once fully operational, GlenWyvis is expected to attract about 30,000 people to Dingwall every year. GlenWyvis distillery has smashed its initial crowdfunding target by more than £500,000. Duncan Tait will be the Dingwall distillery’s first manager after joining from Mortlach. First community-owned Scotch whisky distillery enters final crowdfunding push. Planned Dingwall distillery sets out to raise more than £1.5m through community-focused share offer.